Casting Call Club : Kara no Kyoukai: Mirai Fukuin (Fandub) Mitsuru and Mana Scene. Casting Call for Kara no Kyoukai: Mirai Fukuin (Fandub) Mitsuru and Mana Scene. Kara no Kyoukai: Mirai Fukuin (Fandub) Mitsuru and Mana Scene. About Kara no Kyoukai: Mirai Fukuin (Fandub) Mitsuru and Mana Scene. Mirai Fukuin (lit. The Future's Gospel) is a side story of Kara no Kyoukai novel series. It is divided into two parts. It's about two psychics, Shizune Seo and Mitsuru Kamekura, who can foresee the future. Shizune was sick of her predictable boring life and Meruka became a professional bomber taking advantage of his supernatural power. When Shizune met Mikiya and when Meruka met Shiki, their immutable future started to change. Taking place ten years after the events of Kara no Kyoukai. Ryougi Mana, Shiki's daughter, spends the day with Mitsuru Kamekura. He goes by the nickname Meruka Kuramitsu (倉密 メルカ,Kuramitsu Meruka?). Dissatisfied with the prospect of a regular and unexpressive life that he can predict with 100% accuracy, he works as a for hire bomber and is famous for his ability of escaping from his captors. He is fourteen years old when he chooses a nickname based on a comic character he liked as his alias. He refers to both his adult self and his young self as a robot that simply idles by life following common instructions. However his pessimistic behavior is usually counterbalanced by Mana'scurious and cheerful disposition, and she usually requires so much attention that Mitsuru doesn't really have the time to feel down. Rather not. That would’ve just ruined it. here. Do you want me dead, Miss. Mana? This girl is Mana, the boss only daughter. So I became a member of their gang and got to live another day. 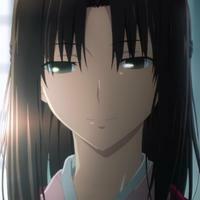 Mana Ryougi is Shiki and Mikiya's daughter. 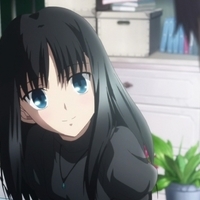 The one who named Mana was Mikiya. Mikiya himself came up with the name without a second thought, but Shiki knew its meaning. She said with a sour look on her face, "Ah, so that's what it is." and accepted anyways. When Mitsuru Kamekura was struggling to pay back his debt, Shiki and Mana decided his fate. She's a fan of Mitsuru's book "The Vampire's tears" (吸血鬼の涙, Kyūkeysuki no Namida? )and under her own volition she recruited Mitsuru so that he would work for her father in his detective agency, however it seems that Mitsuru is mainly stuck with being Mana's caretaker. Mana seems to be greatly amused by things that are out of the ordinary and jumps at the possibility of doing something interesting. She is aware of Kamekura's dark past, however she thinks of him as a nice man who is similar to her papa (in her words, he is plain, can't say no to pretty girls and has a non-working eye). Her wish is to "beat her mom so she can have her papa." She also knows about her mother's male personality, SHIKI (織, ?). 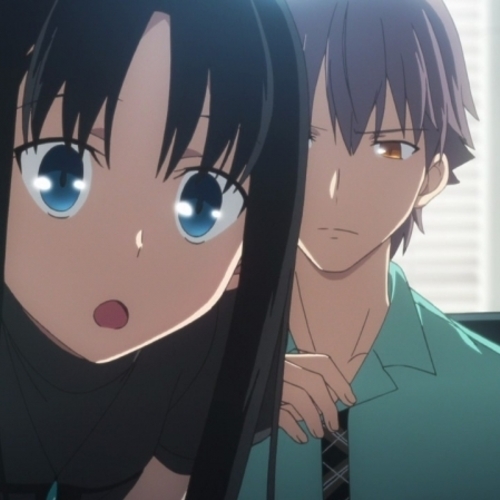 She refers to Mikiya as papa, to Shiki as mother and to SHIKI as father. Oh. I really missed out. I should have come to you. Yeah, yeah. And that’s the thing I like about you. Talk and acts like a punk. I like it when people don’t use pretty words. You’re Kamekura, right? It’s such an honor to meet you! Shiki's family, the Ryougi, were members of the Demon Hunter Organization. Their special skill involves creating two separate and distinct personalities within themselves. When a child is born, he or she is given a single name written in two different kanji, each one relating to each personality. 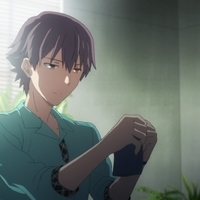 Children born into the Ryougi family are generally male and are artificially induced with dual personalities, but Kaname was unable to manifest a second personality of his own. Shiki was confirmed to display the trait instead and was raised as the family head in his place, displaying the personalities of SHIKI (織, ? ), a male personality customarily called the "yang" personality, and Shiki (式, ? ), the female personality called the "yin" personality. We were just looking to get a detective agency. You have the skills, right? Hmm? You draw picture books? Very well. You can have that as a side job.